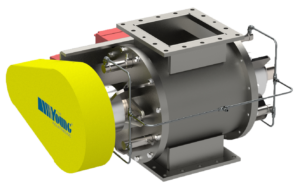 Products - The Young Industries, Inc.
We invite you to learn about Young Industries’ Rugged and Reliable Rotary Valves. Since 1947, Young Industries products are known for their long history of innovation and proven reliability. Young has been providing equipment with the lowest overall cost of ownership as compared with equipment having low initial cost. 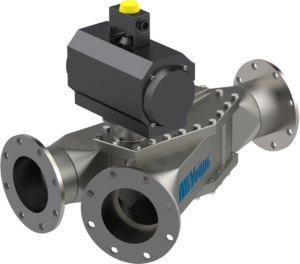 We invite you to learn about Young Industries’ Rugged and Reliable Diverter Valves. Since 1947, Young Industries products are known for their long history of innovation and proven reliability. Young has been providing equipment with the lowest overall cost of ownership as compared with equipment having low initial cost. We invite you to learn about Young Industries’ Rugged and Reliable Feeders. Since 1947, Young Industries products are known for their long history of innovation and proven reliability. Young has been providing equipment with the lowest overall cost of ownership as compared with equipment having low initial cost. The design of these devices is a culmination of years of research that resulted in Trans-Flow fluidizing media and unique internal geometry. New production methods were also developed to transform design theory into tangible products. The end result is a new generation of aeration products that promotes reliable material flow with a life expectancy up to ten times longer than that of conventional aeration devices. We invite you to learn about Young Industries’ Rugged and Reliable Conveyors. Since 1947, Young Industries products are known for their long history of innovation and proven reliability. Young has been providing equipment with the lowest overall cost of ownership as compared with equipment having low initial cost. We invite you to learn about Young Industries’ Rugged and Reliable Bulk Bag Unloading Systems. Since 1947, Young Industries products are known for their long history of innovation and proven reliability. Young has been providing equipment with the lowest overall cost of ownership as compared with equipment having low initial cost. We invite you to learn about Young Industries’ Rugged and Reliable Bulk Bag Loading Systems. Since 1947, Young Industries products are known for their long history of innovation and proven reliability. Young has been providing equipment with the lowest overall cost of ownership as compared with equipment having low initial cost. The Young Industries patented Self-Aligning Flange sets are offered in a large selection of standard sizes. It is available in 2″, 3″ 4″, 5″, 6″, 8″, 10″ and 12″ diameters in both tubing and pipe sizes. The sets are offered in carbon steel, aluminum, and stainless steel. We invite you to learn about Young Industries’ Rugged and Reliable Mixers & Blenders. Since 1947, Young Industries products are known for their long history of innovation and proven reliability. Young has been providing equipment with the lowest overall cost of ownership as compared with equipment having low initial cost. We invite you to learn about Young Industries’ Rugged and Reliable Dust Controlling Systems. Since 1947, Young Industries products are known for their long history of innovation and proven reliability. Young has been providing equipment with the lowest overall cost of ownership as compared with equipment having low initial cost. At Young Industries’ we offer a load of different types of systems to complete a variety of tasks. Offerings such as our Dilute-Phase Converyors, and our Dense- Phase Pneumatic. Our systems can handle a variety of different things such as Powders, Resins, Pellets, Flakes, Pigments, and Regrind. These materials can be bulk handled in pneumatic conveyors and mechanical conveyors at rates ranging from 500 to 200,000 lbs. per hour. Send us a message to get a call back. Our goal is to supply bulk materials handling products, services and replacement parts that are safe, trouble-free to install, simple to maintain, and easy to operate. We strive to provide solutions that have superior performance and provide cost savings based on having the lowest life cycle costs.